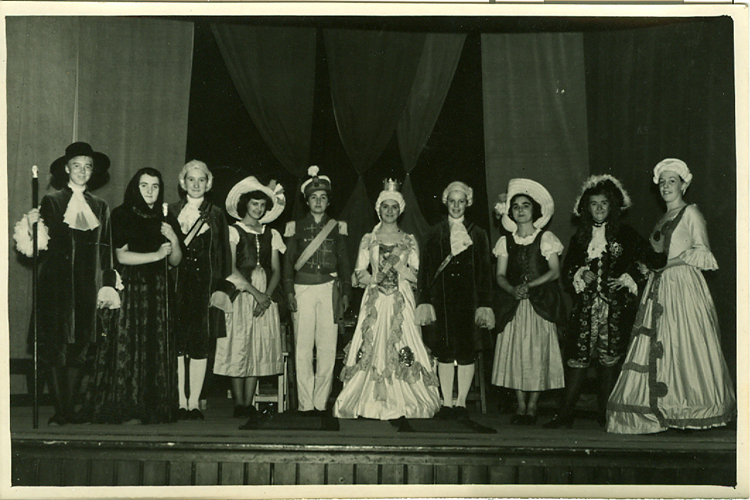 "This year the School renewed the old tradition by producing yet another Gilbert and Sullivan opera, "The Gondoliers." Mrs. Williams was the producer and Mr. Brown the musical director. 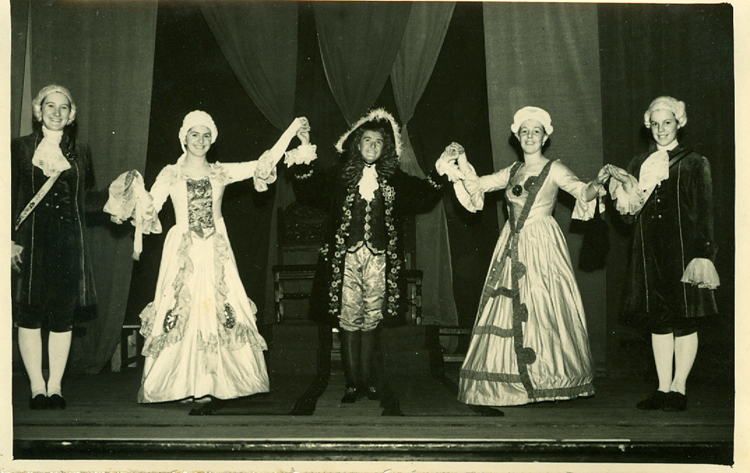 Miss Lane was responsible for the stage management and properties; and Miss Jones, Miss Pratt and Margaret Edwards for the costumes, only one of which, for a cast of over fifty, was hired. 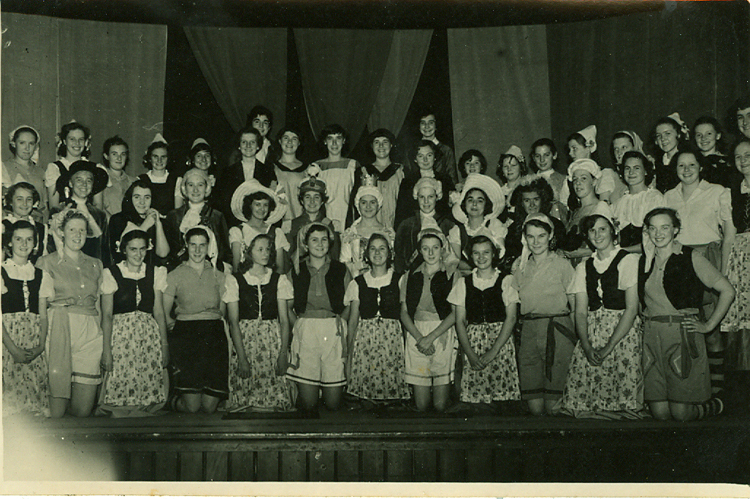 The whole cast co-operated very ably, the Chorus giving excellent support to the principals. The Gondoliers were gay and gallant, and the Contadini charming. Marco (Anne Carson), and Giuseppe (Anne Widdows), sang very well and acted with great zest. The touch of melancholy in the one, and the light-hearted naivete of the other, made an amusing combination. Tessa (Margaret Edwards), and Gianetta (Gabrielle Tuke), were delightfully coquettish. The Grand Inquisitor (Mary Hopkins-Jones), was properly a person of great dignity, except when he relaxed to tell us how a Grand Inquisitor should never put himself into undignified positions. Casilda (Joyce Scott), bore her misfortunes with the dignity and grace befitting the daughter of a duke of ninety-five quarterings; and Luis (Patricia Hayward), loved and despaired and finally became king and married Casilda, in the right fairy-tale way. The Duchess (Ruth Parsons) was a model of conscious superiority. The Duke (Jill Schanschieff), deserves a whole paragraph to himself. His acting was a masterpiece of comic incongruity, the grotesque and absurd mingling with real grave and dignity. This combination came out most humorously in the Gavotte. You will know how good it was by the fact that the audience wanted three encours. How hard the producers had worked was shown by the ease, gaiety and spontaneity of the whole production. The colours of the costumes and the sweetness of the singing made the stage as gay as a summer garden. 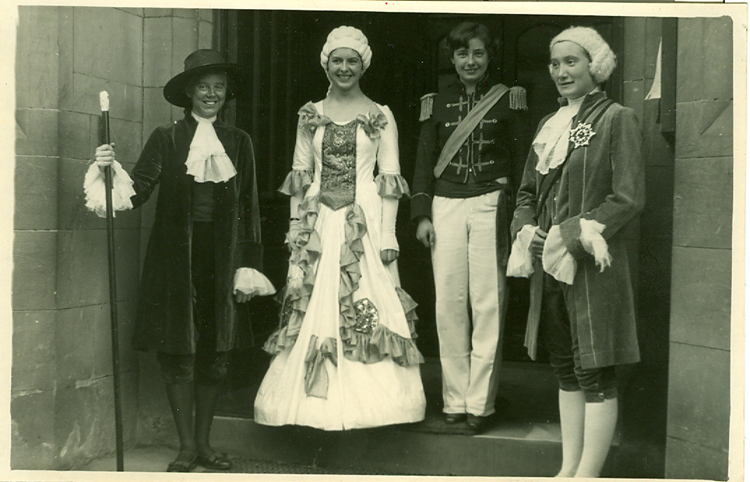 Two performances of the opera were given, in Bakewell Town Hall, and the proceeds were given to St. Helen's Church, Darley Dale.